‘A fast moving long period swell will impact the coastline Friday Morning and continue through Saturday Evening. 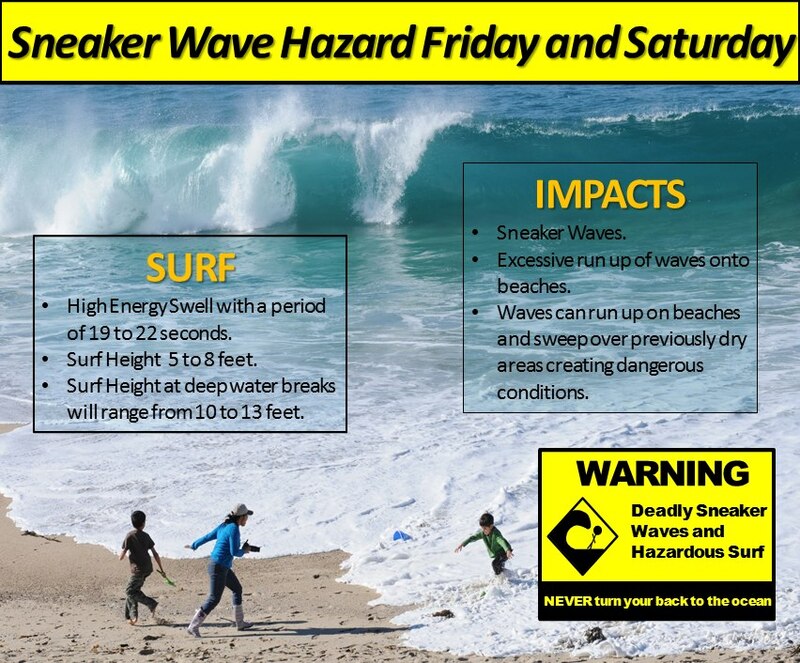 This high energy swell will be capable of producing sneaker waves, especially along steeper beaches. Persons traveling to area beaches should use caution and NEVER turn your back to the ocean. By “fast moving” swell, the NWS is referring to the speed at which the swell front propagates across the ocean. In deepwater, wave speed is dependent on the wave period, and long period swell travels much faster than short period swell. For example, these 19-22 sec waves will travel at approximately 35-40 mph! In comparison, swell with a 12 sec period travels at a speed of about 20 mph.